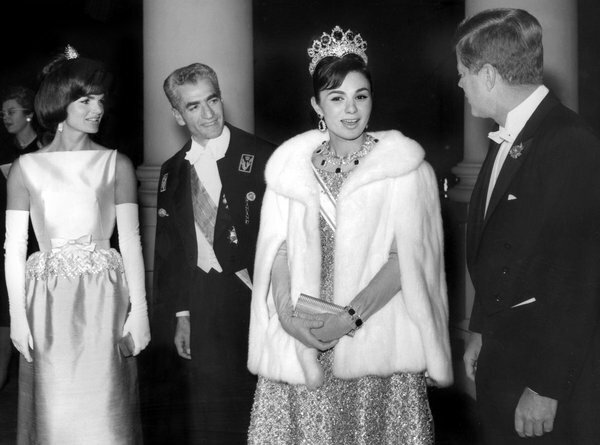 The Kennedys hosted a state dinner for the Shahanshah and Empress of Iran at the White house. It was an elaborately staged affair with the Truman china, vermeil flatware and glassware from Morgantown being laid out. “I know that you will all join with me in welcoming our distinguished guest to the United States. His Highness and I have a burden that carry in common; we both paid visits to Paris last year, and from all accounts, we might as well both have stayed at home. We are glad to have him come to the United States again. The entertainment was provided by Jerome Robbins and dancers that included numbers from his Ballets: U.S.A.